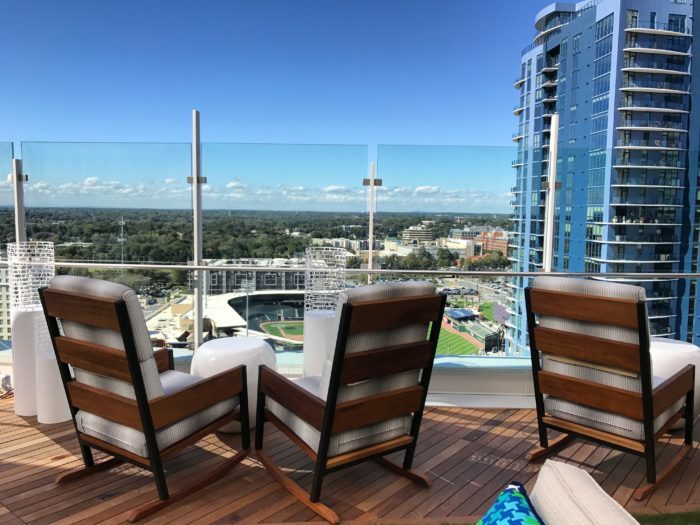 Angeline’s, an Italian-influenced modern American restaurant, and Merchant & Trade, a 19th floor rooftop bar overlooking Romare Bearden Park, will open November 1 in Third Ward. 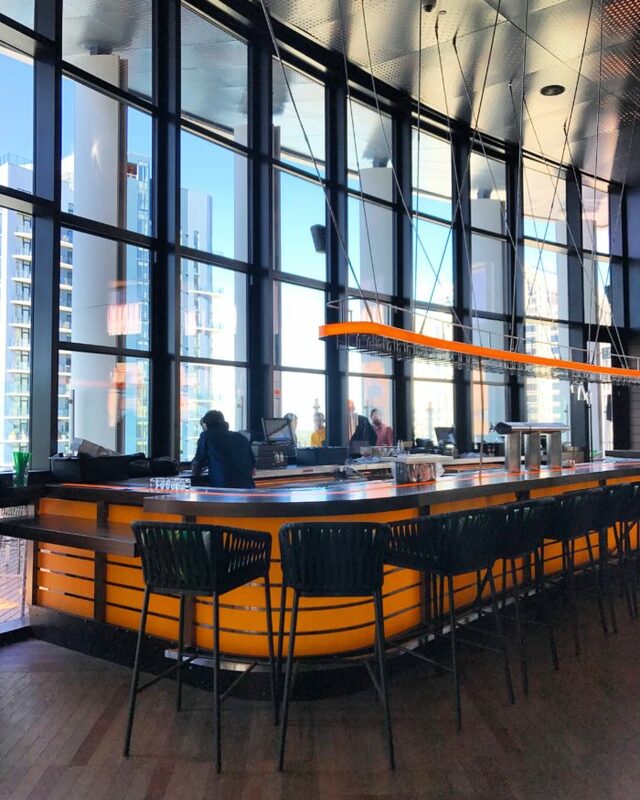 The properties are located adjacent to and atop the new Kimpton Tryon Park Hotel and are a game-changing addition to the Uptown social scene. Angeline’s is located on the ground level at the corner of Church and 3rd Streets. 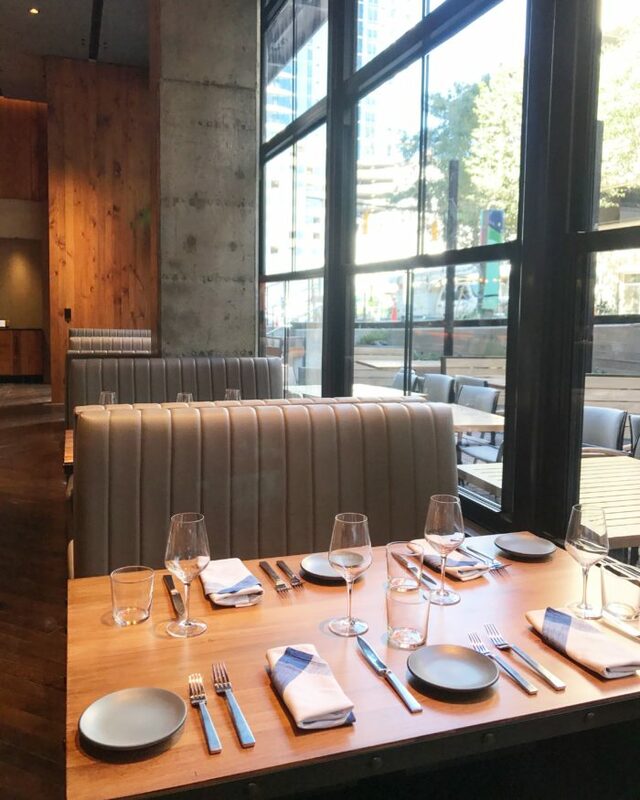 The 2,774-square-foot restaurant features an open kitchen, wine wall, private dining room, floor-to-ceiling windows and sunken patio. 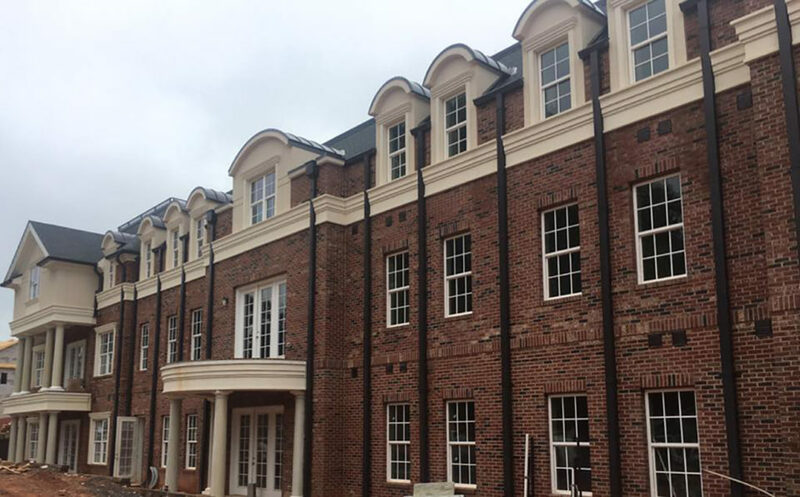 The space was designed by The Johnson Studio at Cooper Carry. 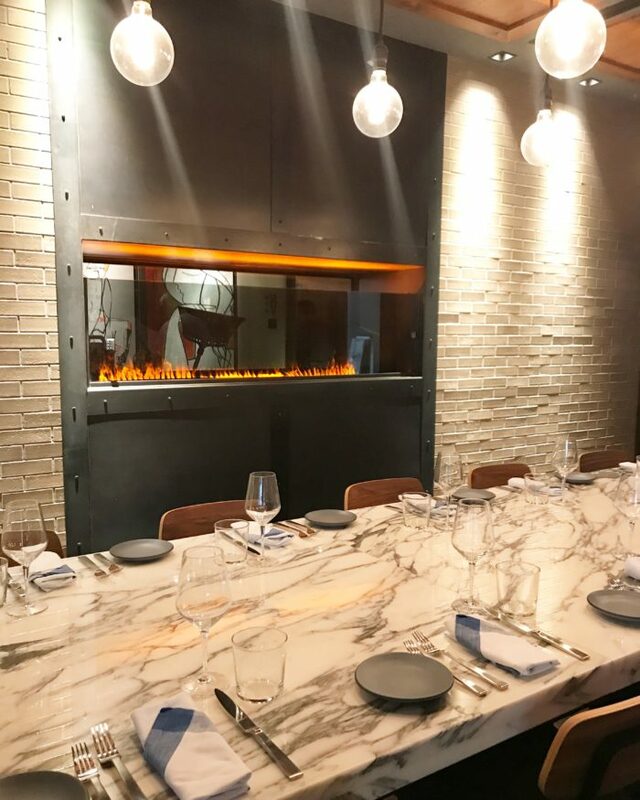 Executive chef Robert Hoffman has created a menu featuring rustic, locally-sourced ingredients with a focus on wood-fired cooking. 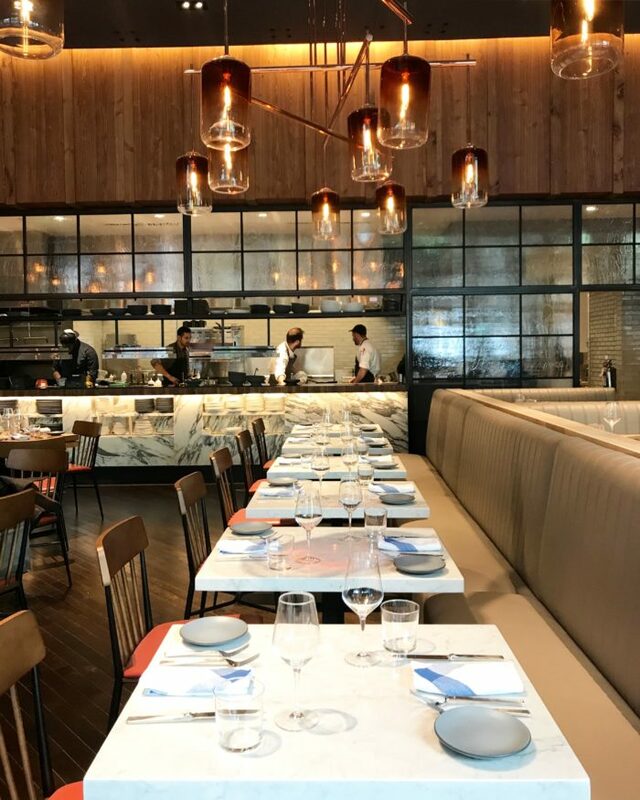 The bar program, led by Henry Schmulling, stays true to the Italian-inspired theme with grappa, amaros and Italian wine and beer along with American spirits and local beers. Angeline’s will be open for breakfast Monday through Friday 6:30 a.m. – 10 a.m. Dinner service is Sunday through Wednesday 5 p.m. – 10 p.m. and Thursday through Saturday until 11 p.m. The bar will be open 5 p.m. – midnight Monday through Wednesday, 5 p.m. – 2 a.m. Thursday through Saturday and 5 p.m. – 10 p.m. Sunday. 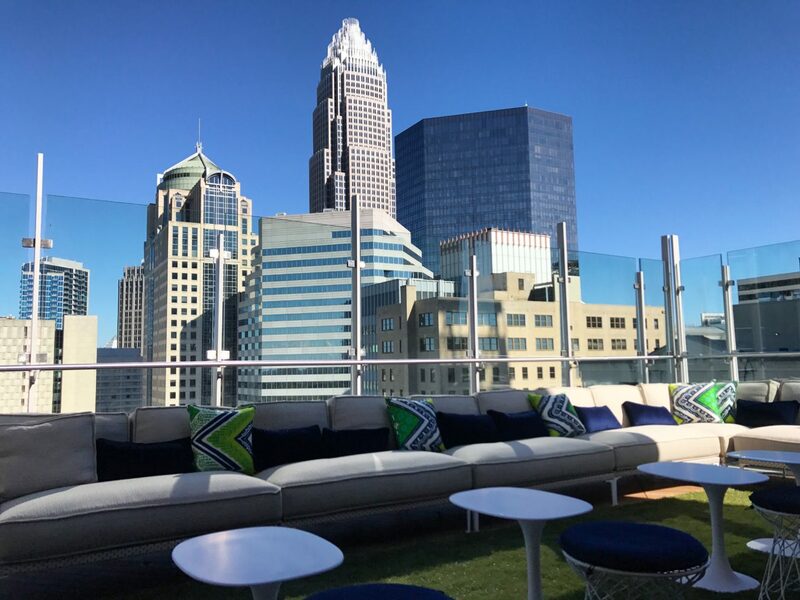 Merchant & Trade is a jaw-dropping rooftop bar atop the Kimpton Tryon Park Hotel. 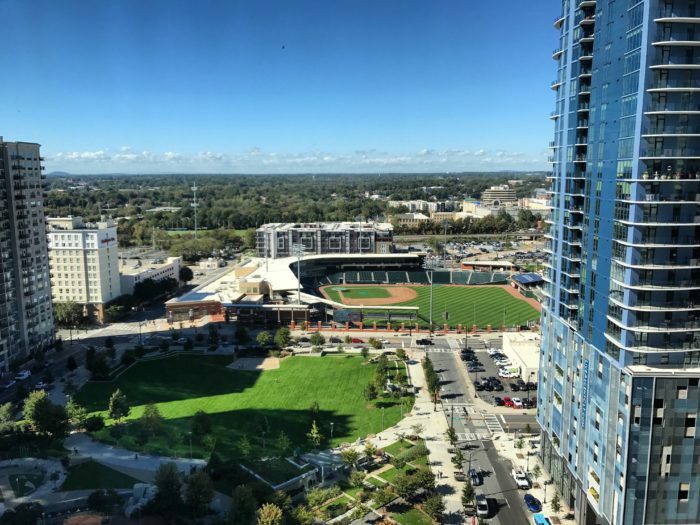 The 4,500-square-foot space offers sweeping views of Uptown — from Romare Bearden Park and BB&T Ballpark to a jackpot skyline shot. 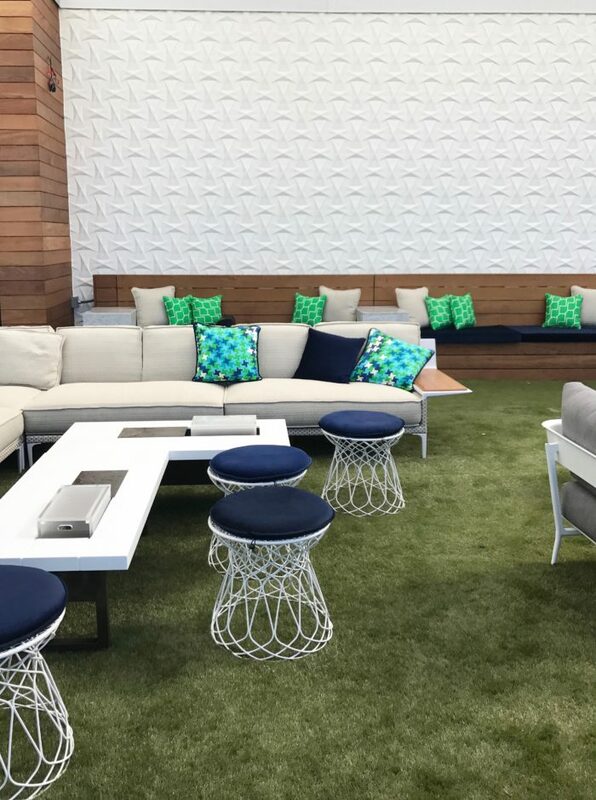 It’s made up of four zones that flow openly — an indoor bar with floor-to-ceiling windows, an outdoor terrace with bar seating, a private 20-person VIP section and a “lawn” with astroturf, lounge seating and rocking chairs. An impressive light feature with 10,000 programmable LED lights adds a statement piece visible from the ground. 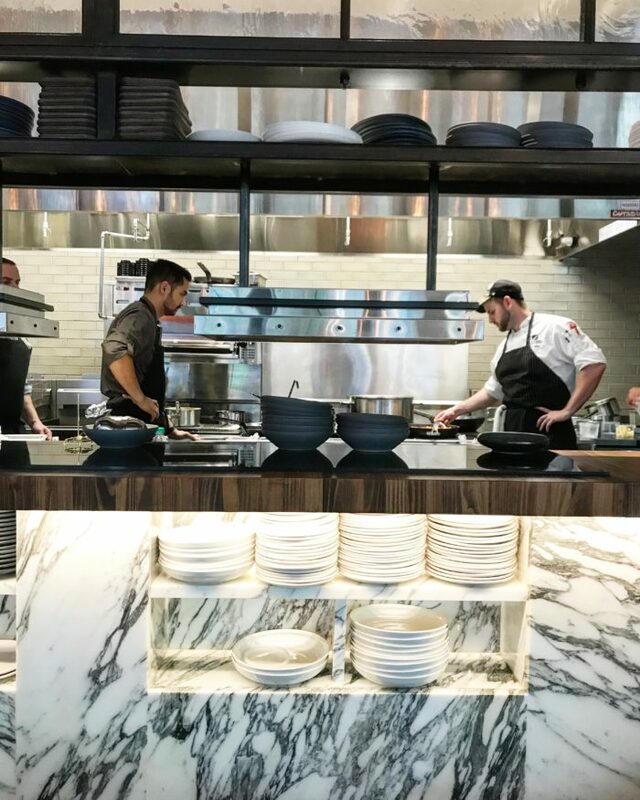 The menu will feature shareable small plates along with craft cocktails, bottle service, large-format cocktails and beers (including local) on tap and in bottles. This is unlike anything Charlotte has ever seen and it will definitely be packed. Expect a wait to get up.